This is not a baking recipe! However, everyone’s gotta eat dinner sometime, and this pizza is well worth some attention on Sweet Jumbles. I first had this pizza at my sister’s house, and I asked her to send me the recipe. Recently, I made it again and it was just as good as I remembered. 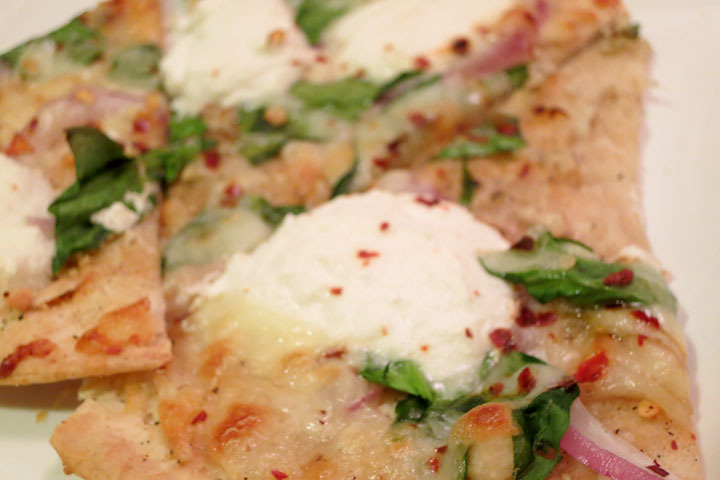 You can use any crust you like for this pizza, refrigerated raw or shelf-stable pre-cooked. I used a thin Archer Farms crust. Whatever crust you use, follow the cooking times and temperature stipulated on the package. Preheat oven to 450 degrees (modify as per your particular crust’s instructions, if needed). Place crust on a pizza pan (or baking sheet). Brush top with olive oil. Sprinkle evenly with parmigiano and garlic powder. Season with salt/pepper. Scatter onions, spinach and mozzarella. Drop ricotta my tablespoonful. Sprinkle with red pepper flakes. 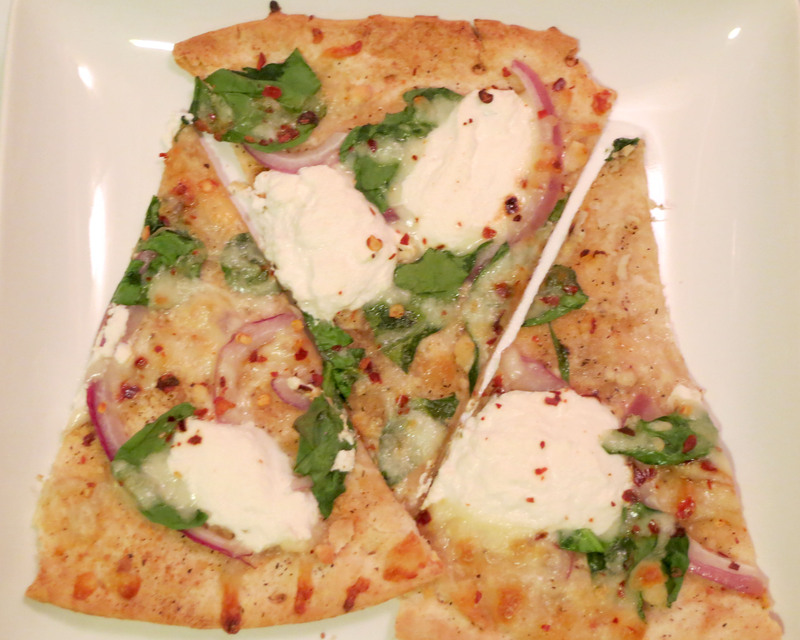 This entry was posted in Cooking Jumbles and tagged pizza, ricotta, spinach. Bookmark the permalink. This pizza looks FAB! So many things I love!